Max Verstappen hopes the large contingent of Dutch fans crossing the border will spur him on at the Belgian Grand Prix this weekend. 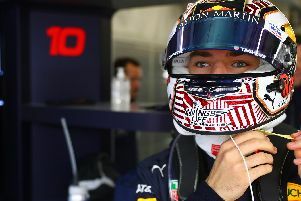 The Red Bull Racing man suffered a first corner elimination at the Austrian Grand Prix - another close to his Holland home - but hopes for more luck at Spa-Francorchamps as F1 returns after the summer break. He said: “It definitely feels like a home Grand Prix for me because it’s so close to the border and as there isn’t a Dutch race at the moment a lot of Dutch fans are coming over.